Thanks to the support of our loyal customers, our dog grooming salon is near capacity. 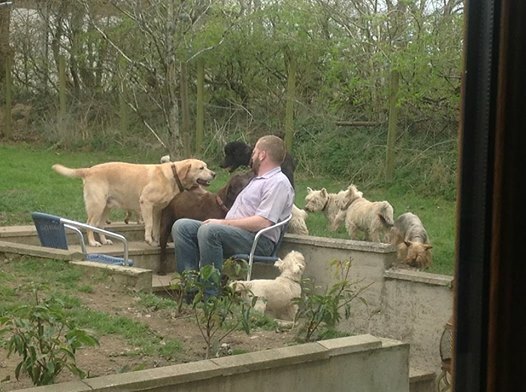 From experience, we have found a lot of dogs appear to be more relaxed when they are the centre of attention. 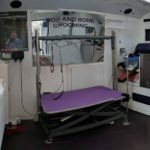 Taking this into consideration has led to our investment in a Mobile dog grooming salon. 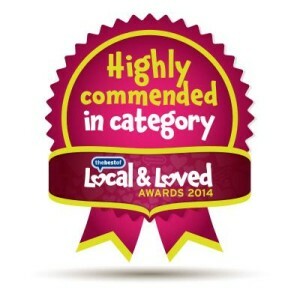 This allows us to offer the option of our service on your door step. Chris used to do home visits in special circumstances. 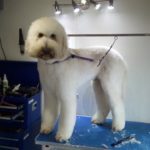 Although the desired service could be carried out to a very good standard, a Salon groom still had the edge. 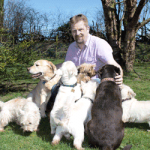 Over the last 12 years we have had the privilege of working with only one persons dog or dogs on the premises. To offer our service to more people and take on a high street premises, and work the way we do, could mean having to compromise on service or raise prices substantially. 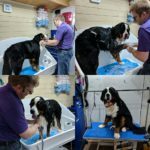 By offering this service, we can continue working to the standards we believe in at the salon, as well as offering mobile dog grooming for those who want a visit at home. We allow well behaved humans to watch either service. 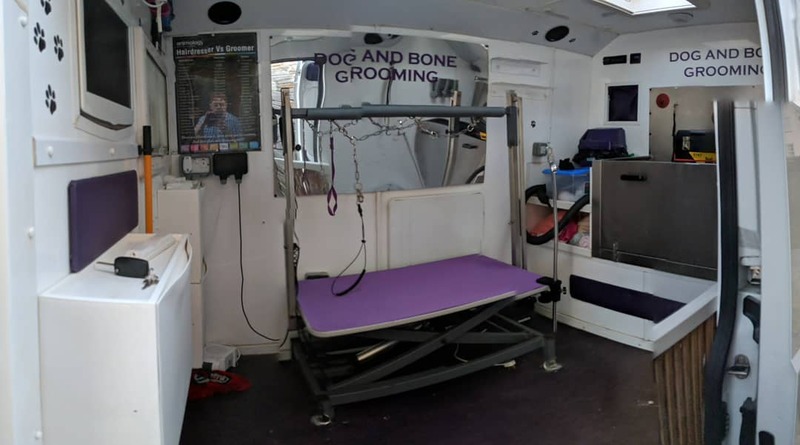 Our Mobile dog grooming offers all of the features of our standard Salon Service, but carried out on your doorstep. We allow time to introduce your dog to our environment, and to get to know them. 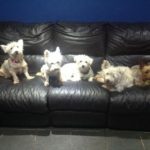 We always discuss owner requirements and will discuss with you whats best for your dog. 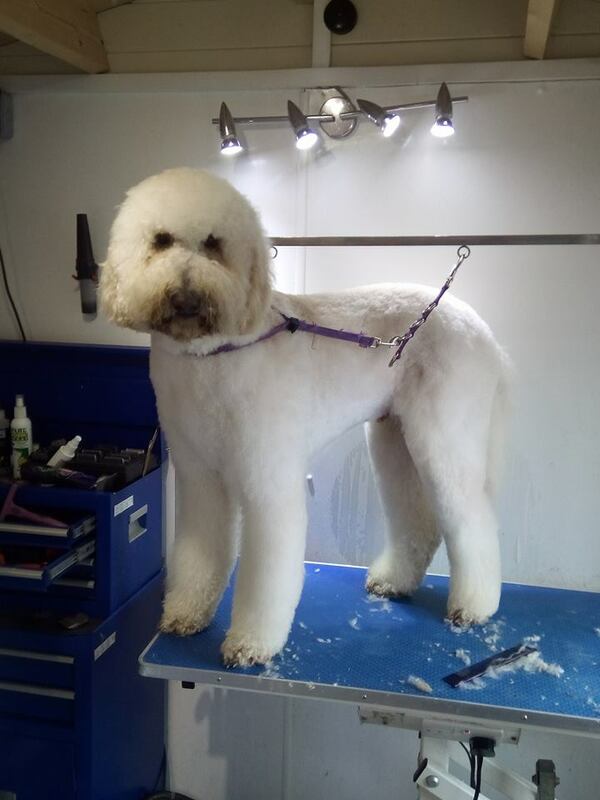 As with our salon service, there may be a wait for your initial mobile dog grooming appointment. 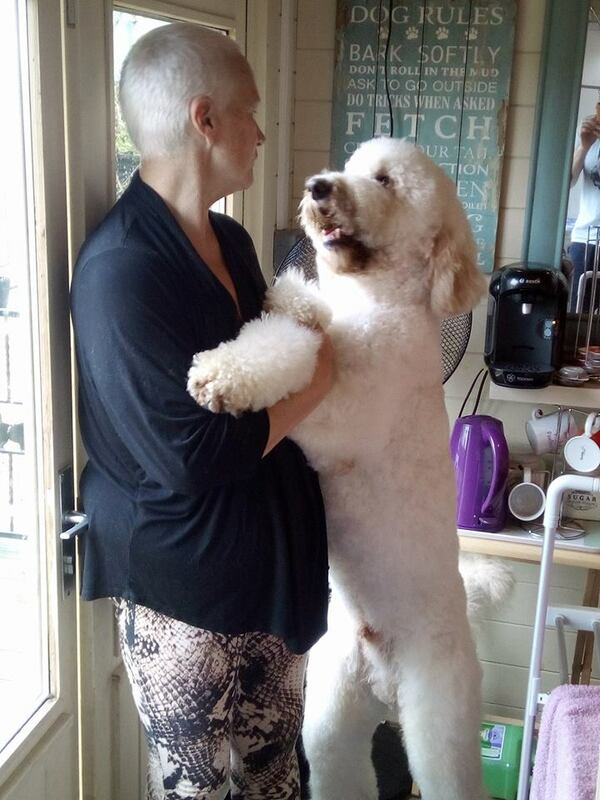 The majority of our clients will book their dog grooming appointment in advance, usually doing so before they leave. 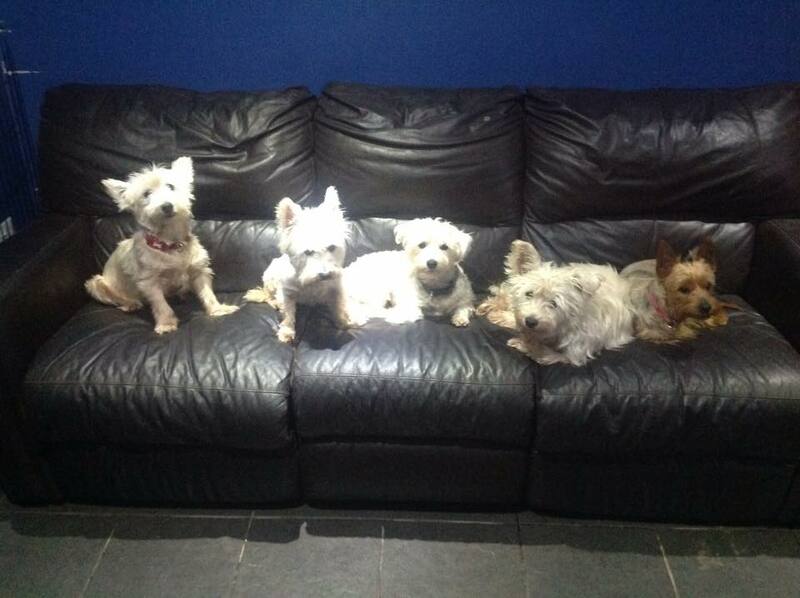 We operate on an appointment only basis, and allow the time required for each dog as an individual. We allow extra time for first appointments to find out about your dog and yourself. Please feel free to ring on 01267 282828 to discuss your requirements. We don’t answer the phones whilst dog grooming, but please leave a message. 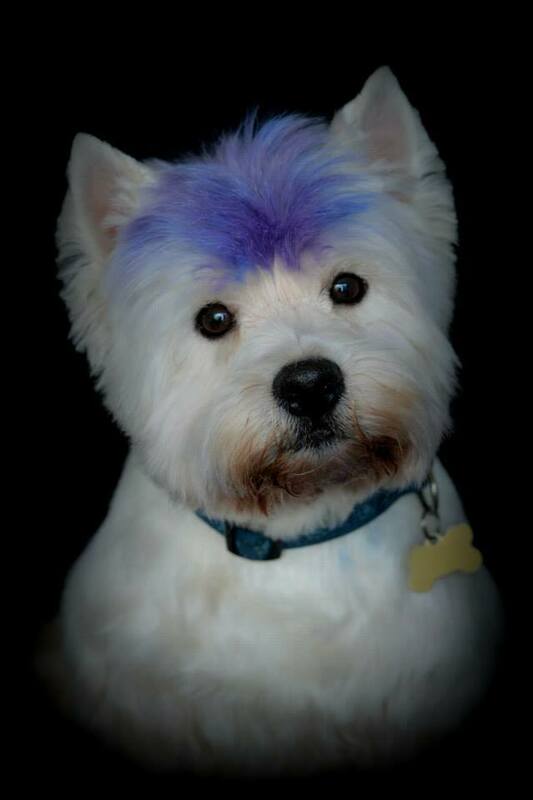 Thirteen years ago we struggled to find a dog groomers that worked the way we envisaged for our West Highland Terriers Hamish and Macbeth . I went to do a basic training course, and was hooked. Sadly Hamish and Macbeth have passed, but what they helped create has remained. I will be ever grateful to them for the path they started me on. 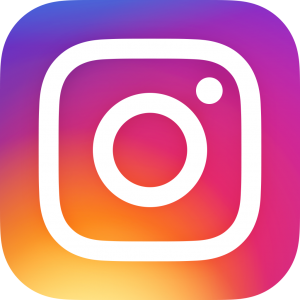 Over the course of the next few years, I gained experience by attending seminars, completing my N.V.Q.’s and the business rapidly grew, mainly by word of mouth referrals . Six years ago, I had to cut back on my workload due to health reasons. For the next few years I stayed low key, only seeing a very small number of customers. During this time I gained my BSc (Hons) in Animal Welfare and Behaviour. I also met the lady who works with me part-time Ashlee, Like me she has her FdSc in Animal Science and is presently studying to gain her BSc. This has allowed us to take on more customers. 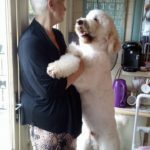 Ashlee concentrates mainly on smaller breeds, whilst I generally take on larger breeds, as well as concentrating predominantly on poodle and bichon crosses. 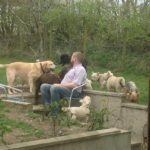 I lecture part time in Animal Care with youngsters at the local college, and have also run short courses for owners who wish to learn to groom their own dogs between appointments. I have a special interest in what the Americans refer to as H.A.I. (Human Animal Interaction) and both my FdSc Thesis and BSc Dissertation centred around this. 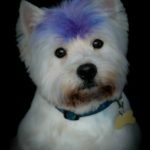 Looking at the benefits of owner education in grooming their dogs, and the benefits of dogs for those suffering anxiety, depression stress or P.T.S.D. A large amount of this interest has stemmed from the interactions I have with the gang of re-homes and rescues that live with us. 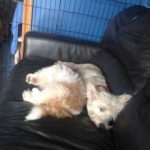 In fact it is predominantly down to the fact I have to keep them in the lifestyle to which they have become accustomed, that I still groom other peoples dogs. 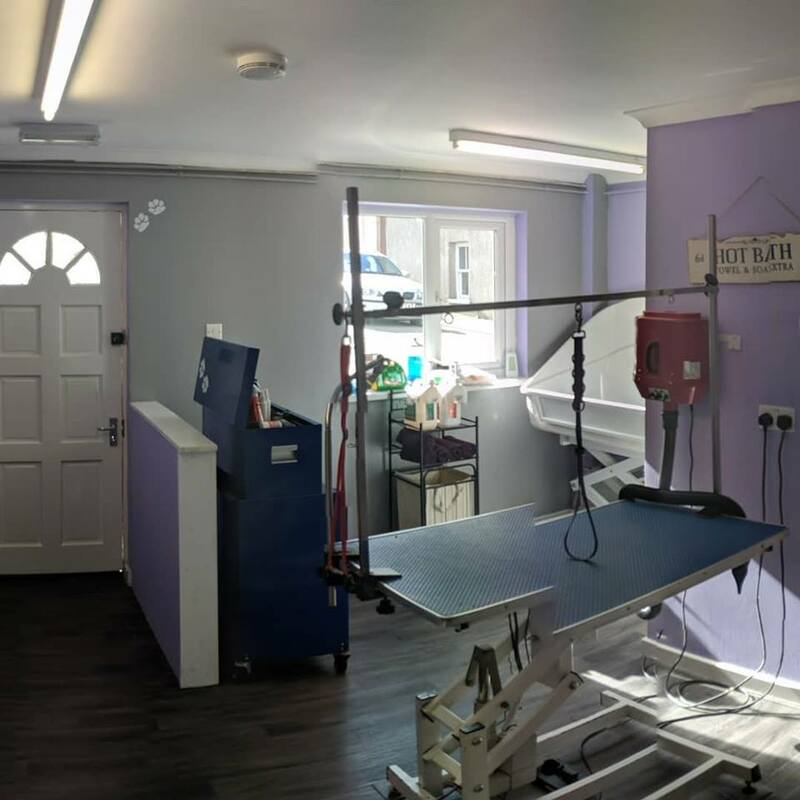 We work on a one to one basis with your best friend, and book appointments in such a manner we aim to create a less stressful environment for you and them. From experience, this leads to an increased chance of a more enjoyable time for you both.Where required, we may suggest an initial assessment appointment for you and your dog to meet us, before we start any grooming. Building on this then allows your dog to get used to us and a new environment. 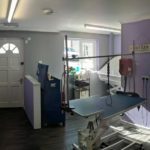 We use only naturally and organically based products, have an open door policy, and don’t believe in having your best friend waiting around in cages. Although the majority of our customers are from Carmarthen, Cardigan and Pembrokeshire areas, we do get people who travel further afield. If booked in advance we can often cater for tourists and seasonal home owners. 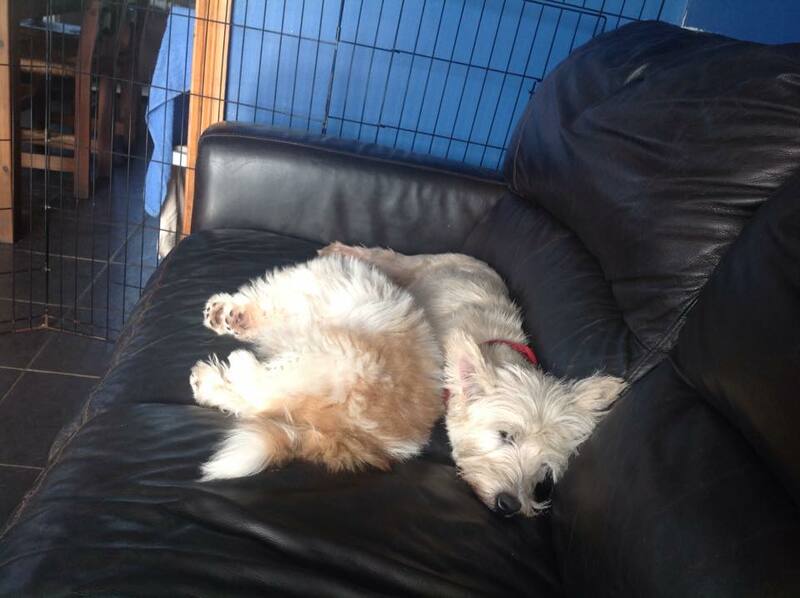 We are more than happy to discuss your requirements and look forward to meeting you and your pawpal. Often we come across a dog who object’s to having its nails cut. There are numerous devices on the market to try and alleviate this problem. There are however things you can do which may prevent the problem from occurring or alleviating it. Why Cut Your Dogs Nails. Left unchecked and uncut, your dogs nails will grow to an extent it causes discomfort. They get so long that they grow back into the pad. This causes pain and infection requiring veterinary treatment. A lot of our owners are comfortable cutting their own dogs nails. If your dog isn’t happy, the first thing I would recommend is getting them to have their paws held. The idea behind this is too build up the amount of time you can hold them for. I suggest the following is done whilst in a safe place, where you and your dog are comfortable. 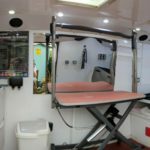 I tell all my owners investing in a dog grooming table is sound for them and their dogs. Dogs love routine. Set it as you mean to go on. It will be less stressful for both of you. As you hold them, let them know holding it is a good thing, give praise or a titbit. Leave it longer holding it before giving them the treat. Give the treat whilst you hold the paw when its still. If you have a dog that pulls the paw away, keep a light grip on it. Don’t get into a tug of war pulling it back as you risk injuring the dog. Stay quiet, don’t shout or encourage stay calm until the dog is still again. then give the praise. Now the dog has gotten used to this, do it with all four paws. Leave the nail clippers on the table every time you do it. When you are moving the paws, make sure you only move them in the natural direction of the dogs joint movement. Sometimes you may find it easier to turn the paw upwards, as shown in the picture, to gain access to the nails. This procedure may take quite a time to achieve, but it should prove less stressful for you and your dog. Don’t do it all in one go, unless your dog is happy with it. Make sure you are both safe and comfortable, and your dog is secure on the surface on which he is standing. We mainly see two types of nails, those with a clear pink quick, and those that are dark where the quick isn’t readily visible. The diagrams below show where to cut on the nail. If you cut through the quick, it will bleed. It is always worth having a product like Trimmex on hand. If you haven’t, a tip passed to me by a vet, is pressing the nail in a bar of soap. 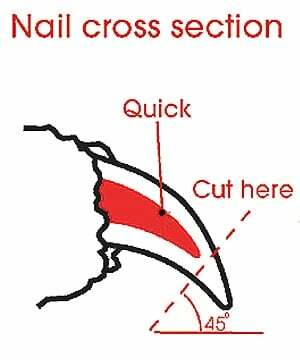 Carefully trim the nail back. Again a small amount at a time is better if you are not confident. 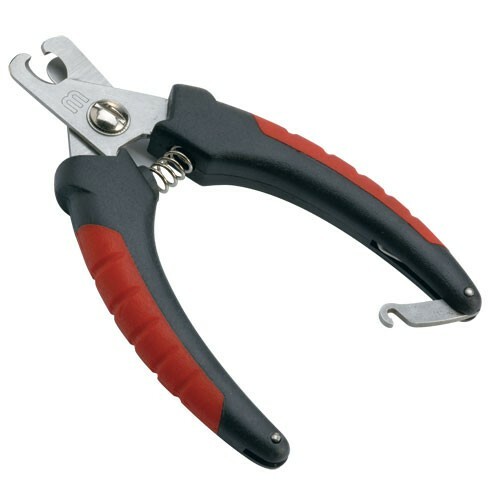 As you trim the nails on a regular basis, this keeps the quick short. This is easier to achieve on light nails where you can see the pink. It is harder on dark nails. Regular walking on harder surfaces will help keep your dogs nails in check. Some dogs nails seem to grow at a faster rate than others. Exercising mainly on soft ground, will require checking the nails more often.